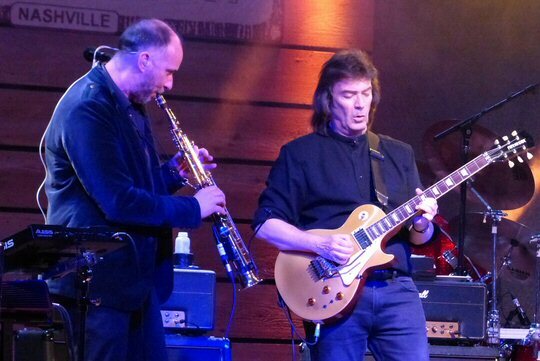 Guitar legend and progressive rock innovator Steve Hackett kicked off the land-portion of his 2017 World Tour on February 14, 2017 at the City Winery in Nashville. The belt buckle of the Bible Belt was a fitting choice to launch the trek as it has been a biblical length of time since the man last graced these parts. When he asked from the stage how long it's been since he was in town a fan shouted back "40 years". That's the same amount of time Moses led his people through the desert. But, it was worth it as the former member of Genesis was an astonishing revelation in a live setting. Nashville is still stuck with the stigma of being a country music town and it's not the first place you think of when experimental genres come to mind. 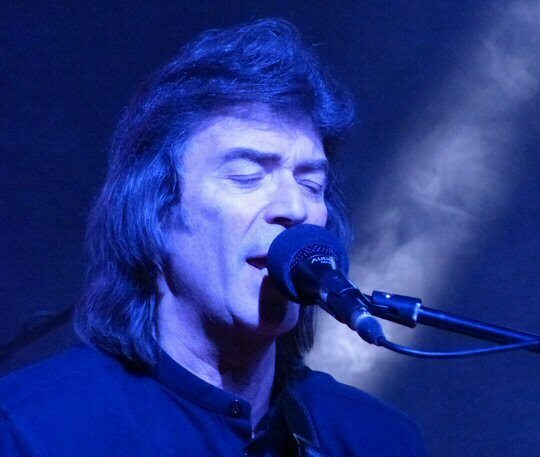 Still, Hackett was coming off of a successful appearance at "Cruise to the Edge" where he shared the stage with other legends such as Yes, Patrick Moraz and Spock's Beard. 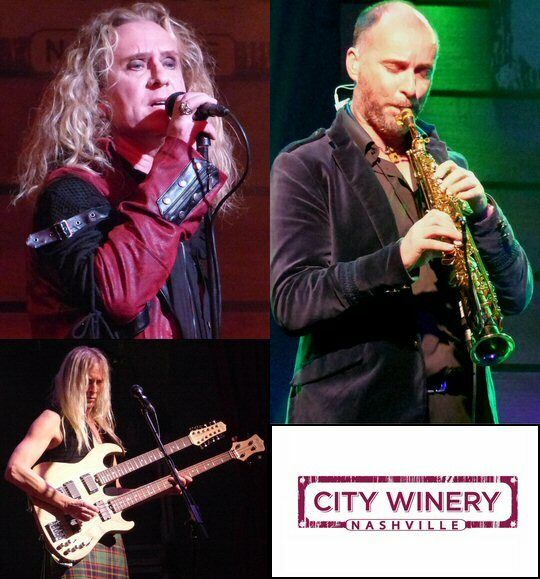 Steve's appearance follows recent stops in Music City by ARW, Neal Morse and Steve Vai proving that the South has become much more hospitable to progressive rock in recent months sparking a trend we hope will continue. Steve Hackett has remained a prolific recording artist and his latest release The Night Siren is set for a March 24, 2017 distribution through InsideOut Music (Sony). Hackett calls this effort "a wake-up call...the warning of a siren sounding in this era of strife and division" and the music within finds Steve's incredible guitar as potent as ever. For this project he collaborated with musicians from several different countries in a celebration of multicultural diversity and unity. 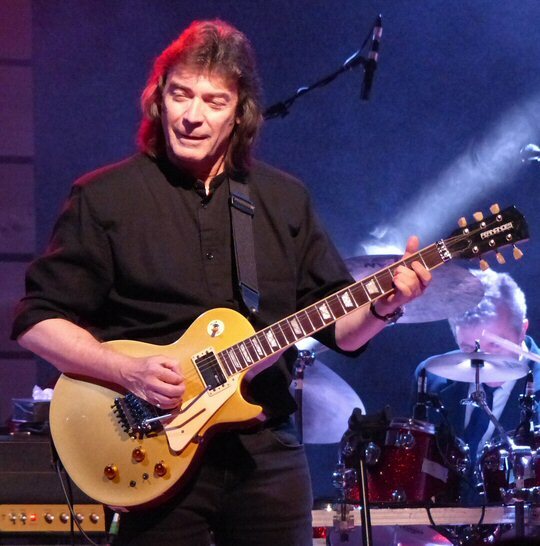 Steve Hackett and company took the stage promptly and 8 p.m. and set off on a two and a half hour exploration of various musical landscapes. In addition to the new record this "Genesis Revisited" tour stop was celebrating the 40th anniversary of Wind & Wuthering the eighth studio album by that band. Steve's proficient and talented group for this night included Roger King on keyboards; Gary O'Toole providing drums, percussion and vocals; Rob Townsend on sax, flute and percussion; the kilt-wearing Nick Beggs showcasing bass and related paraphernalia; and Nad Sylvan on vocals. Early highlights included the opener "Every Day" that was intricate and profound as its complicated and compelling percussive elements made it anything but mundane. "El Ni�o" from the new album was stormy and dramatic with dueling drums, heavy guitar and calmed only by a soothing flute passage. Other tracks from Night Siren making their live debut were "In the Skeleton Gallery" and "Behind the Smoke". The biggest thrills of the night came from the pretty "Serpentine Song" that featured lush multi-part vocal harmonies that snaked along giving way to the prog giants of the evening courtesy of "The Musical Box" from Nursery Cryme and "Firth of Fifth" off of Selling England by the Pound which some have called the greatest progressive rock number ever put on tape. The concert concluded with a heavy draw from the showcase album Wind & Wuthering that saw many expansive numbers packed into the last half of the show including "Eleventh Earl of Mar", "One for the Vine", "Blood on the Rooftops", "Unquiet Slumbers for the Sleepers...", "In That Quiet Earth" and "Afterglow". Hackett and company are set to bring this intense and entertaining night of music to the East Coast of the U.S.A. and Canada before embarking on a European leg and a homecoming stretch scheduled to conclude in late May. 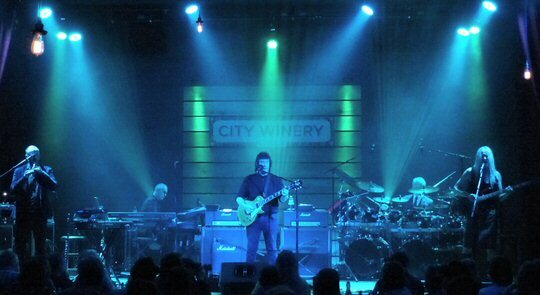 More scenes from the first of two "Genesis Revisited" concerts in Nashville.